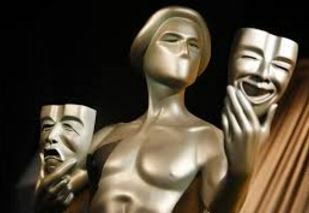 Live-Blogging SAG(Screen Actors Guild) Awards tonite. The Screen Actors Guild Awards are tonight, and I’m going to be live-blogging them, dear readers, dear cineastes. In NYC, they are on the TBS or TNT channels at 8pm EST. Check your local listings. There should be MANY surprises tonight. We’ll see if the #Oscarssowhite controversy is going to impact the awards. Black British Actor Idris Elba is the man of the hour tonight. He’s nominated for Best Supporting Actor on the film side for “Beasts of No Nation.” And on the TV side he’s nominated for “Luther”. He’s against Mark Rylance in both categories and I feel he is going to take home at least ONE “actor” as they call their awards. If “Beasts of No Nation” wins Best Ensemble, then Elba might be taking home three! 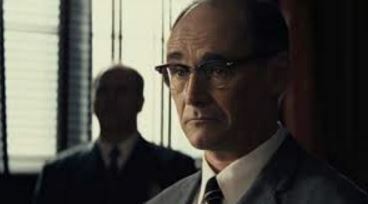 Rylance, a stage legend in Britain and multiple Tony winner on Broadway, is his main competition tonight for “Bridge of Spies” for Best Supporting Actor Film, and for “Wolf Hall” TV series. Unfortunately, Elba was NOT nominated for an Oscar. (He’s a magnificent actor. He should have been.) None of this awful Oscarssowhite scandal would’ve happened if he had been nomminated. It’s rumored that he may be the first Black James Bond. Here’s an interview I did with Idris a few years back at the Toronto Film Festival. As for Best Picture Film, it’s back and forth and forth and back between “Spotlight” and late riser “The Big Short.” Which is what it was like last year with “Birdman” and “Boyhood.” Up til the last second. And then “Birdman” won by a beak at the Oscars. I still can’t believe that happened. Me? I’d vote for “Spotlight” if I was a voting member of SAG. But I’m not, so we’ll see. Unlike the Academy, SAG voters DO have a sense of humor. So “The Big Short”s cutting edge wit would not be held against it tonight. We’ll see. And if Leonardo wins Best Actor here tonight, he’ll win the Oscar, too. Ditto Brie Larson.